A click-through is when a visitor of a web site clicks an ad, taking them to the site the advertisement was promoting. 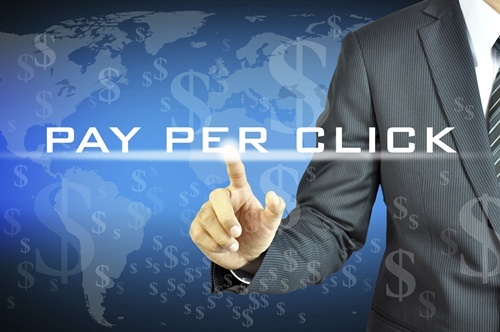 Here’s what you need to know to be successful at obtaining click-throughs. Your PPC campaign is simply a normal advertising campaign, just online: you create ads, put them up, and pay a fee for them to appear in organic searches. Therefore, your ads have to be positioned high in those searches, meaning your ad copy has to be unique while still utilizing the right keyword phrases. Like with SEO, you might have to experiment a bit to see which keywords and content generate the most click-throughs. “Conversion optimization” is a term used to describe the methods used to turn a site’s visitors into customers. This can be accomplished by placing your PPC ads at the highest positioning you can. If your PPC strategy is stagnant and failing to get your content to the top, it’s time to revise it. Remember: you want to appeal to and obtain the over 90% of the online search audience that clicks on the top-ranked ads. How do you get to become the top-ranked? By not trying to appeal to everyone. Niche markets for whatever you are advertising are the key to getting a good ranking. Your PPC campaign and PPC strategy should utilize the right language, including jargon and information. Using that market’s specific language will narrow down your PPC materials in terms of content—and with it, your competition. Something every PPC company should know is the importance of low-competition keywords. You’ll likely notice via your click-through rankings that you have to keep track of how much you spend, so to save money and appeal to your niche market, always take note of low-competition keywords and related phrases that can appeal to your particular market area and save you money.